High colour quality combined with maximum energy efficiency. 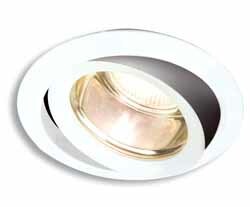 Particularly useful in areas where a high level of downward light is required. The ideal solution for prestige retail display and showrooms. Excellent colour rendition. Die cast with UV-stop safety glass as standard. 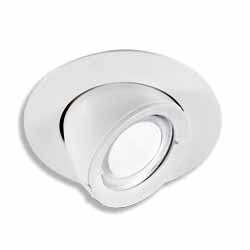 A recessed downlight which is adjustable as a wallwash to 40° and with 350° rotation. The reflector deign reduces glare and the die-cast body construction with thermoplastic frame provides excellent thermal properties. 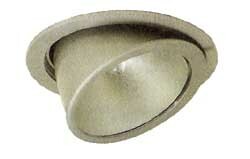 For G12 capsule HQI lamp. 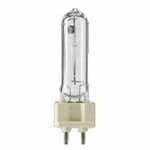 Metal halide lamps, a member of the high-intensity discharge (HID) family of lamps, produce high light output for their size, making them a compact, powerful, and efficient light source. 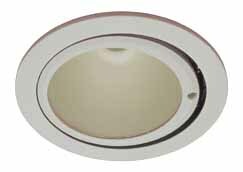 These lamps require electrical ballasts to regulate the arc current flow and deliver the proper voltage to the arc. 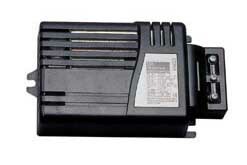 The ballasts are available as CONVENTIONAL magnetic or ELECTRONIC. output power over the full range of accepted ANSI lamp voltages; resulting in very poor fixture to fixture color stability and consistency. Metal halide electronic ballast uses approximately 10% to 17% less energy than a " magnetic" ballast. Typically, a Metal halide electronic ballast extends lamp lumen maintenance from 5% to 15% versus a "magnetically" ballasted lamp. Metal halide electronic ballast is compact with extremely small and lightweight designs compared to large, heavy magnetic ballasts. Metal halide electronic ballast has a higher efficiency and therefore much lower heat losses than magnetic ballasts. Metal halide electronic ballast replaces the ballast, capacitor, and the ignitor of the "magnetic" ballast systems in one integrated unit. Metal halide electronic ballast has a power factor greater than 0.95, much higher than that of a "magnetic" ballast. 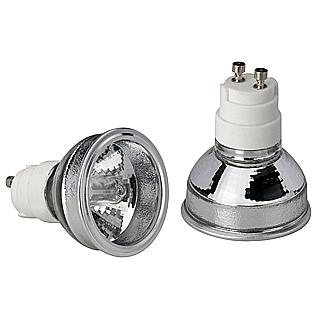 Metal halide electronic ballasts are sound rated "A" for quiet operation in interior commercial applications. 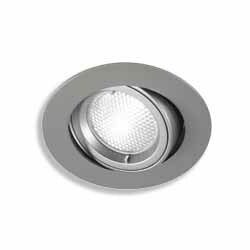 Whether choosing a fitting that requires the G12 or G8.5 capsule lamp, or the Rx7s double ended lamp, there is still another choice to be made: bto buy a lamp with a quartz burner or a ceramic burner. The principle benefits of ceramic metal halide are 3 fold, by using ceramic instead of quartz to contain the arc it allows the lamp engineer major opportunities to improve the performance of these lamp types. 1. The ceramic can run at a much higher temperature, usually about 1050OC, this higher temperature, gives a couple of benefits. • The higher the temperature the higher the CRI (colour rendering index), so this drives some of the improvement and gives us CRI of between 80 & 95 dependent upon the colour temperature ie the ceramic gives excellent colour rendering. • This ability to run at higher temperatures also makes the system much more efficient, the 15% improvement we see versus quartz made products is based on the ability of the ceramic to withstand this. 2. The additional benefit is the ceramic’s resistance to sodium lose through life, as mentioned earlier the quartz allows chemicals to disperse through the walls, ceramic being a more dense material is much more resistive to this and hence gives us excellent colour control through life. To summerise Ceramic Metal Halide gives a higher efficiency, a quality white light with excellent colour reproduction, and exceedingly good reproducibility allowing very consistent colour, not just lamp to lamp but throughout the lifespan of each lamp. The lamps also enjoy a much longer lamp life than those with a quartz burner lasting at least twice as long. 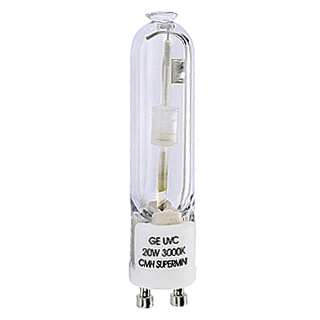 CMH-TC Constant Colour Supermini GU6.5 Metal Halide This capsule lamp gives 4.5x more lumen per watt output in comparison to halogen lamps and has constant light colour from bulb to bulb with a long lifespan of 12000 hours. The GE Constant Colour CMH MR16 ceramic Metal Halide lamp gives 4 xmore lumen per watt output in comparison to halogen lamps and has constant light colour from bulb to bulb with a long lifespan of 10000 to 12000 hours. Available in 3 beam angles at 20 watt and 35 watt.